Hard to believe it's the last week of August. The month seemed to just fly by. The temps are going back up this week into the high 90's, at least for a few days. So I think I'll do some easy meals. Tonight is lasagna. I have one in the freezer so it won't take long to cook up. I'll serve it with French bread, salad and watermelon. Brats on the Grill I'll bbq brats and serve them with coleslaw, macaroni salad and watermelon. Grilled Chicken I plan to marinate chicken thighs in Italian dressing overnight and cook them on the BBQ. I'll serve them with Ranch Beans (the link is to my recipe, and I'll be cutting the size down considerably and making them in my IP :), a big green salad, and fresh summer fruit (I'll figure out what fruit when I'm out grocery shopping). This week in "Friday in the Kitchen" I'll be sharing a yummy recipe that can be made in the Instant Pot or the Crockpot. This recipe is very good. I've made it a few times. The original recipe is a crockpot recipe. If you don't have an Instant Pot you can follow the crockpot instructions to make it. I made just a couple easy changes to turn it into a pressure cooker recipe. Basically converting recipes is not difficult. You need to make sure there is at least a cup and a half of liquid in the recipe. Pressure cookers need liquid to come up to pressure. Then I took a cup of orange juice and added ¾ cup of water. I poured the juice/water over it.. So Far This Week WSS is much later then usual today. Yesterday hubby and I drove to Port Townsend Washington to visit his mother and her hubby. My sister in law was also there visiting so it was wonderful to be able to spend a little time with all of them. It's about a 4 ½ hour drive and we drove there and back in one day. So it's a lot of time on the road and we were in bed pretty late and slept in this morning. But it was worth the time and driving. 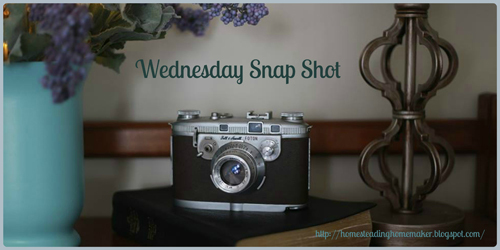 Last week I had such a busy weekend that I totally forgot about Menu Monday.. Just slipped my mind completely! I think that is a first. Today I would love to go grocery shopping but I think I will put it off for a day or two. Due to the eclipse, traffic in our area is at an all time high. We are not far from the point of totality and many people are driving through (from all directions) to get to the perfect spot to see it. We are not far from the Oregon border and it is estimated that there is about one million extra people coming through the area. For today, staying off the roads seems like a wise choice. 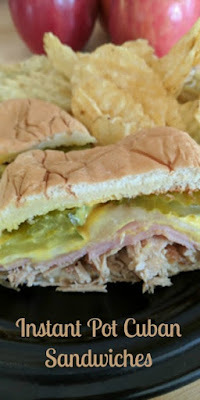 Tonight we are going to have Cuban Pork Sandwiches. I'm using a crockpot recipe and converting to the IP. I'll share if it turns out. 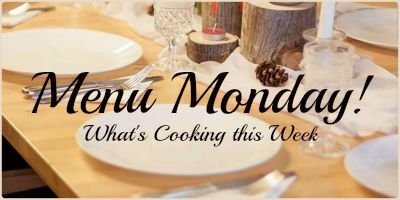 So Far This Week It wasn't until I went to put this blog post out that I realized I totally forgot about Menu Monday.. :) that is what happens when you have a busy weekend with family and are exhausted. The weather has cooled down nicely. We even had a brief shower a couple mornings ago. First rain in 55 days. The nights are cooling down and I'm thinking fall is not to far off. So Far This Week It seems the main goal for this last week has been to stay cool. Our temps soared over 100 degrees and the nights were not cooling off as much as I would have hoped. Our house heated up (we don't have air conditioning) but we survived and now it's starting to cool down a little. I have to say I would take all the heat and sunshine over snow, ice and freezing rain :), summer is my thing. My daughter came again this week with the grandchildren to swim and cool off and visit.